Holes for Heroes 2013. 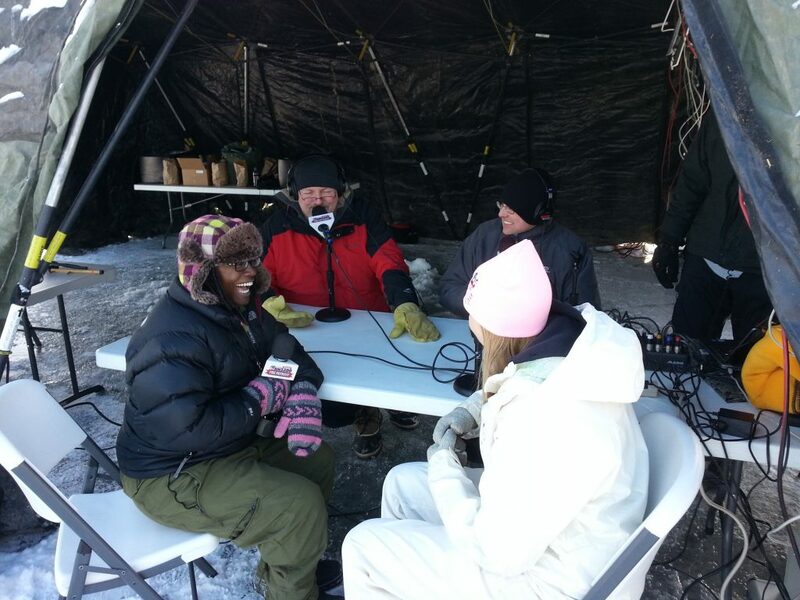 Hooking up WWTC Radio, AM 1280, to the Internet in the middle of frozen Medicine Lake In the Twin Cities. Yup, that is an Aruba wireless Access Point near the top of the tent. 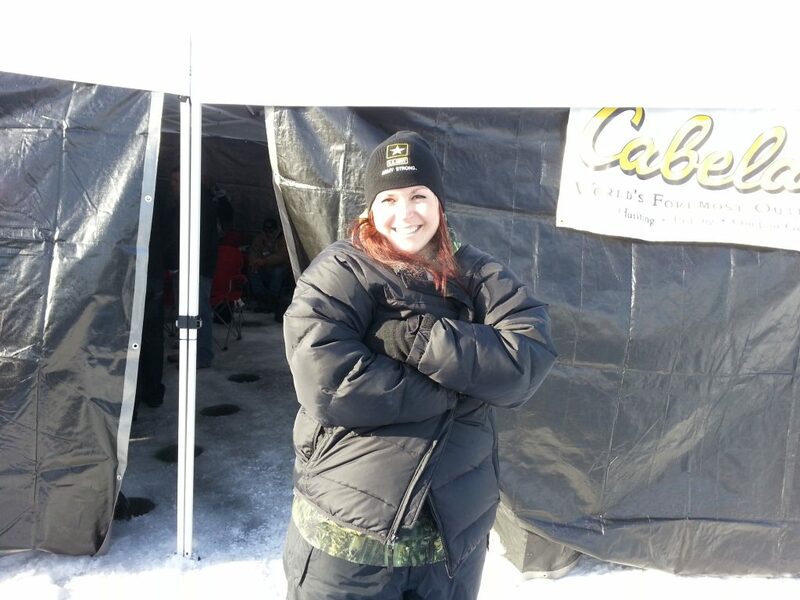 Holes for Heroes is an ice fishing tournament put on by a Christian organization named Fishing For Life. Fishing for Life operates fishing events throughout the year, generally using youth to raise money for charitable causes and ministries. The Holes for Heroes event is targeted at military families. 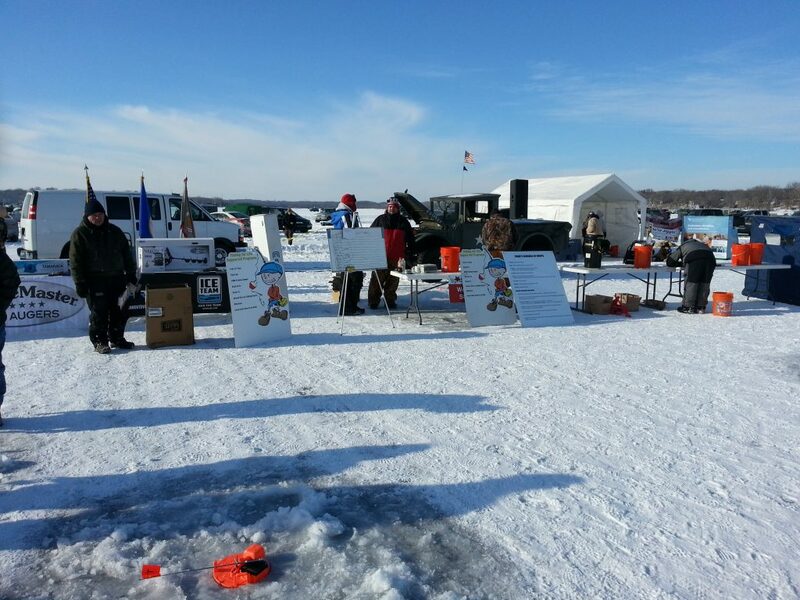 We work with Nextera Communications to bring a commercial grade Internet connection to a frozen corner of Medicine Lake every year to connect military families with loved ones serving in Afghanistan and other overseas locations. I make the technology work. Here is a piece from WCCO TV in Minneapolis about the 2013 event on Feb. 2, 2013. I got a couple seconds of anonymous fame in the very beginning of the story. I’m the tall, skinny guy with the hat trying to focus a webcam in one of the opening camera shots. WWTC Radio, The Patriot AM 1280, also broadcasts a live radio show from the ice. One of my firewalls handles all the traffic, prioritizing what should go in real time and what can wait a few extra milliseconds. 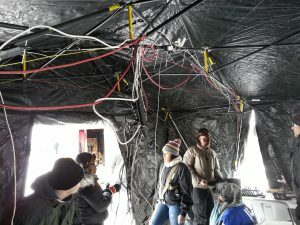 It’s just cool to bring a high tech Internet connection to the middle of a frozen lake and use it for a demanding application. The temperature that day was barely above zero – and that’s really cool!